Conference/ Symposium etc. 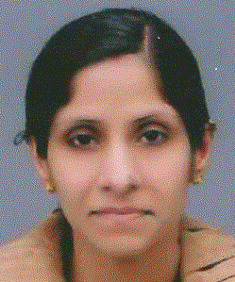 Paper Presented Presented Paper titled “A Comparative Study of Clustering Methods For Relevant Gene Selection in Microarray Data” in “Second International Conference on Computer science, Engineering and Applications” held at The Connaught Hotel, Delhi, India from May 25-27, 2012. Workshop/ Conference/ Symposium ATTENDED FDP on Latest trends in Machine Learning Dec.12-17, 2016,organized by BVIMR, New Delhi. International Workshop on Big Data analytics held on Mar 30,2016 organized by School of Computer and System Sciences, Jawaharlal Nehru University, New Delhi. Refresher Course on Update of Intellectual Property Rights, 10-11 june, 2014 organized by Haryana State Council for Science and Technology, Panchkula. International Conference on Big Data analytics held on 24-26 Dec 2012 at India international centre, New Delhi organized by Delhi University. Author Workshop on “How to write for and Get Published in Scientific Journals and Publish manuscripts” held on Aug 27, 2012 conducted by Springer and Edanz and JNU. International Conference on Methods and Models held on Dec 13-14, 2010, at JNU, New Delhi organized by Jawaharlal Nehru University. Data Analytics and Operations Research Workshop held on Oct 29-30, 2010, at IIT, New Delhi organized by IBM-Research India. International Conference on Methods and Models held on Dec 13-14, 2009, at JNU, New Delhi organized by Jawaharlal Nehru University.